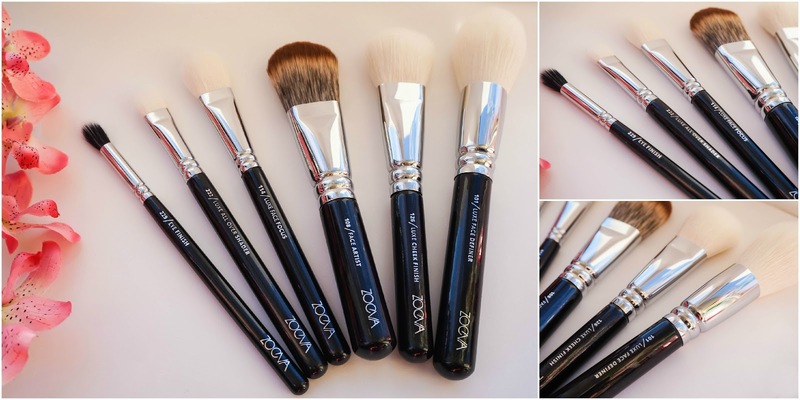 It was only a matter of time until I placed another order with Zoeva for a few more brushes after getting a taste for the brand a few months back. This time the focus was on mostly face brushes with the exception of two. In particular I wanted to choose brushes that are new/quirky or unique because let's face it I have more then enough for my needs (but I always want more). After browsing through the website for literally hours I finally settled on 6 individual brushes which totalled to around €85 which is about £63. It sounds like a lot when you put it that way but for 6 individual brushes of really good quality (on par with MAC and the likes) it really isn't that bad at all. The first one of the bunch is one of the eye brushes, the 229 Eye Finish Brush. This is probably my least favourite of them all, as I had expected it to be much fluffier & softer then it actually is. Maybe it needs to be used a few times for the fibres to soften up a bit, because my intentional use for this was to blend out all the harsh lines on the crease, etc when the look is almost completed. But so far I am not completely sold unfortunately. Next up is the second eye brush which is the 222 Luxe All Over Shader. I had not expected this to be as huge as it is for an eyeshadow brush. Whilst getting to grips with it I've been surprised as I found it to be super quick for applying an all over shade in the morning rush. Not only that but it's great for blending out concealer & then applying powder on top. I love me a multi purpose brush so this is already a winner. First of the face brushes is this 108 Face Artist which I was eager to get as I've got nothing like it in my collection. 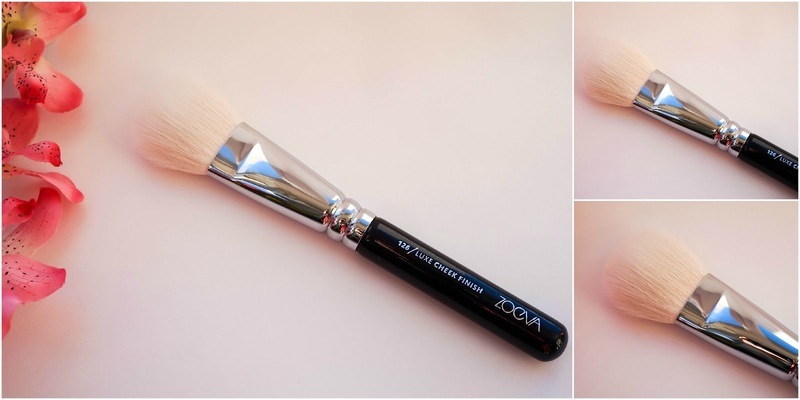 I've never exactly been a fan of flat foundation brushes but this is not that typical kind of brush, as it is a lot denser & fluffier than I had expected it to be. This brush is ideal for liquid & cream products as it blends foundation & cream contour flawlessly into the skin leaving no streaks behind. I am loving this which is another pleasant surprise as I didn't know what to expect when placing my order, I just knew I wanted it as it intrigued me. 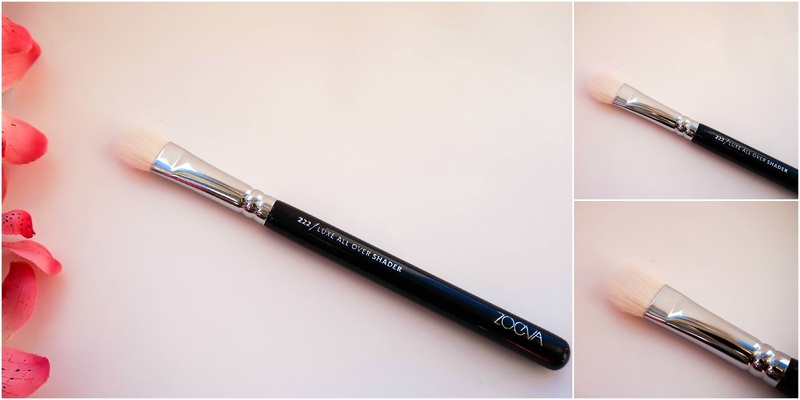 Next up is one of the latest releases from Zoeva and that is the 114 Luxe Face Focus brush which I picked up for highlighting. As the description suggests it is perfect for focus areas of the face where you might want to apply highlighter or even blush. It's also great for powdering those tougher to get to areas or if you just want to make sure that you set your foundation in place perfectly. I love this brush already and I have nothing like it in my collection so it's a great addition. I then settled on buying this gorgeous 126 Luxe Cheek Finish which is probably the most perfectly suited brush for picking up blush as the name suggests. It's just the perfect size for getting into blushes that are just that little bit smaller. Not only that but the fibres in this pick up the product amazingly well. So before where I would struggle to get a certain blush onto the brush, I now have no problems… instead I've got to focus making sure I don't swirl too much product onto the brush. In love with this once again and it puts me off buying the new RT Bold Metals Tapered Blush brush which is super similar but cost over double the price. 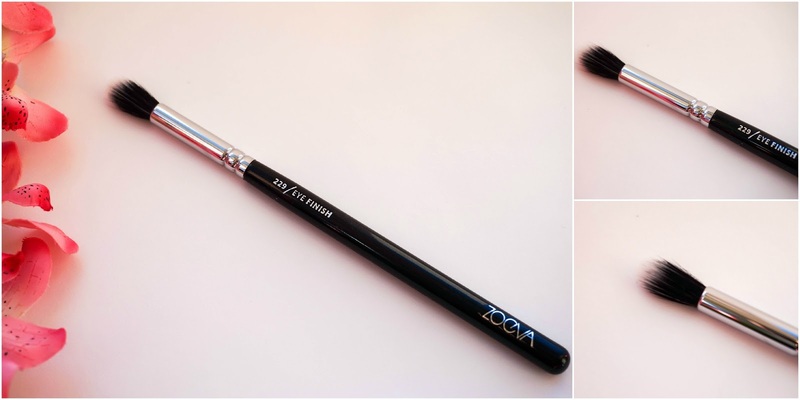 So these are my latest purchases from the amazing Zoeva brand, seriously I just love their brushes. I'm already planing on getting more & hoping to try out some of their makeup bits in the future. 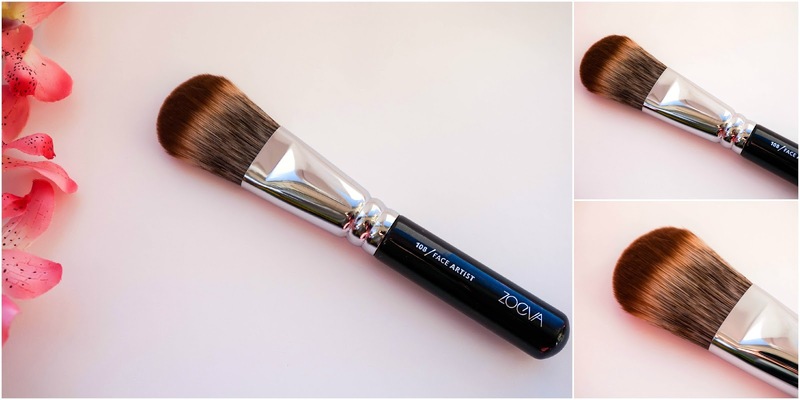 Do any of you have any must have Zoeva brushes for me to put on my wish list? What about their makeup, have any of you been impressed by it?